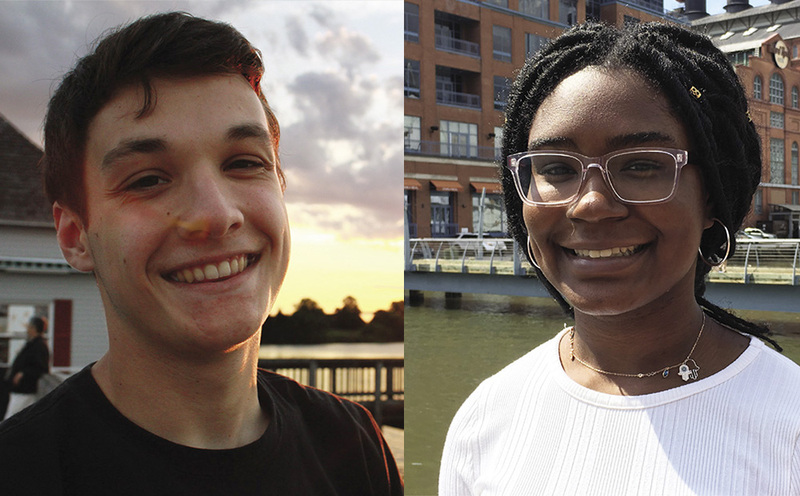 Each year Maryland Sea Grant’s communications office hires one or two interns to assist us with social media, blogging, and articles for Chesapeake Quarterly. During their stay, we hope they hone their writing and communications skills and maybe even get inspired to pursue a career in marine science, environmental policy, or science communications. They work in our office and in the field; we also provide them with professional development opportunities. Ben is a senior at the University of Maryland, College Park, majoring in environmental science. A native of rural St. Mary’s County, Ben has spent lots of time on the Bay, and last year he interned at the Chesapeake Bay Program. He expects to graduate in May 2019 and hopes to join the Peace Corps. “Before I knew what I wanted to major in at college, I knew that I wanted to help people. The Peace Corps allows me to apply the knowledge and experience gained through my [environmental science] degree to the people and communities who need it most,” he said. Ben spends a lot of his time helping our staff with social media engagement. This is his second year at Sea Grant. Alexandra is a first-year student at Howard University in Washington, D.C., and a member of the Freshman Leadership Academy there. She’s pursuing a double major in political science and environmental studies. Though new to Sea Grant, Alexandra is not new to environmental studies. During the summer, she worked at the Institute of Marine and Environmental Technology, at Baltimore’s Inner Harbor, with Eric Schott, an associate research professor. She was a 2018 Hutton Scholar of the American Fisheries Society, part of the junior fisheries biology program that promotes diversity in science. Alexandra learned how to extract DNA and barcode the genetic characteristics of marine animals in the harbor. She also blogged about her experiences. In addition, she has been a community organizer, an intern with the Baltimore Office of Sustainability, and an activist in the fight to ban Styrofoam and reduce the use of single-use plastic. The Catonsville native is currently working on a project on freshwater mussels for Chesapeake Quarterly.